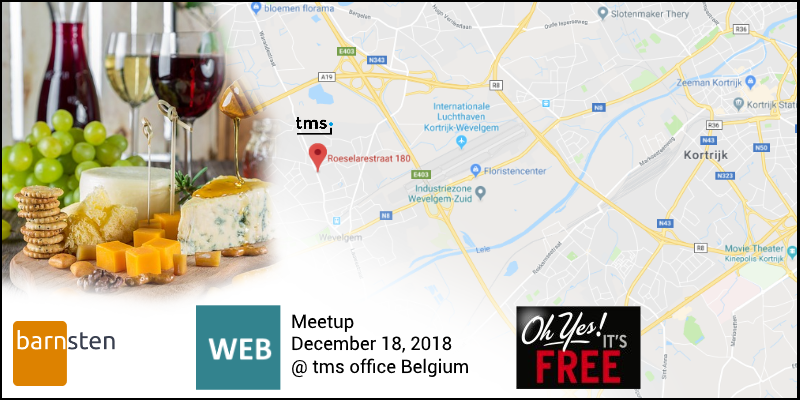 In cooperation with Barnsten Netherlands , we will be organizing the second FREE TMS meetup on December 18th, 2018 at tms office, in Belgium. Sessions will be spent on TMS WEB Core v1.1 new features, real-life cases & exclusive sneak-preview of revolutionary new TMS WEB Core future possibilities. That day you will have the time and the opportunity to interact with our team and discuss your projects! Sufficient time will be allocated for Q&A as well. Moreover, there is a nice surprise for the attendees! All attendees will receive a free version of the latest edition of the Blaise Pascal magazine. Please note: The presentations are held in Dutch. The number of places will be very limited. We aim at maximum 30 attendees. So if you want to be part of this very valuable event, do not wait and subscribe ASAP! We are looking forward to meet many of our customers and Delphi developers at the meetup!